Welcome to Oak Knoll, 26 beautiful homes in Templeton with close access to schools, parks, restaurants and the 101 freeway. 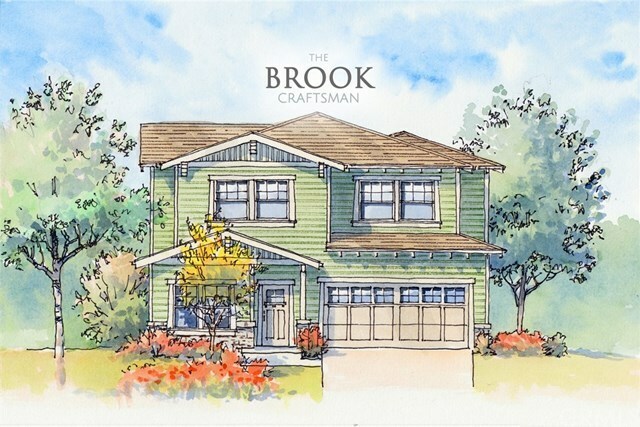 Our Brook home maximizes space and comfort with 2,373 square feet of living space. The first floor boasts a large kitchen with name brand appliances and plenty of counter space, with an open bar looking into the comfortable great room. Still on the first floor is a full bathroom and the first bedroom as well as a spacious two car garage. On the second floor, you will find three bedrooms which includes the gorgeous master bedroom and bathroom with two large closets. Come see all we have to offer!